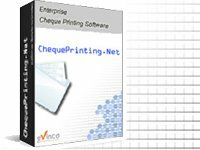 ChequePrinting.Net allows you to choose different numbering system to fit your business needs. In menu "Settings", click "Numbering System". Besides "Standard Number System", ChequeSystem Pro also provides French and India numbering system. After making the changes, click "Save" button to save your settings.